In my weaker moments this season I’ve pitied the decision makers at the SFA and SPL. The big-wigs at Hampden have been scarcely away from the media spotlight since the SPL campaign began in August. The Scottish national team have had their difficulties, Hampden Park has looked like a potato-field, the referees have gone on strike, “Dougie-Dougie” is on gardening leave indefinitely, Hugh Dallas cleared his desk, and Neil Lennon has had more disciplinary hearings than Fernando Torres has shots on target in a Chelsea shirt. Just as my conscience began to favour George Peat and his band of merry-men, out comes the news that the Old Firm will lock horns on Easter Sunday. There’s so much wrong with this decision I don’t know where to start, but the ethical implications are as good a place as any I suppose. First and foremost, Scotland is predominantly a Christian country, be it protestant or catholic. Easter Sunday is the biggest feast day on the Christian calendar. Everyone up and down the country will be munching away at their Easter Eggs, with the children enjoying some time off school. So why then choose that particular day to stain with the toils and tribulations that an Old Firm Derby brings. Instead of families spending time together unwinding and enjoying a trouble-free day, the draw of this match will attract many to the match, but exponentially more to alcohol. Families the length and breadth of Scotland will be denied a day of quality time together, in favour exposure to hatred and violence in some cases. Admittedly the supporters aren’t having a gun put to their head to go to the game or to the pub to participate in the potential time-bomb that is Old Firm Sunday, but the SFA must realise that football is a form of escapism for many people. A significant volume of the population adore football and would watch the match if it was played on the moon, but why force this dilemma upon people and ultimately contribute to the detriment of what should be a time for the family? Perhaps the SFA/SPL have had their hand forced though, I mean it’s not as though there are other options for when the match could be played. Oh wait, hang on. There are several options for when the match could be played. The decision makers appear terrified to allow even a mathematical possibility for the SPL title to be decided by an Old Firm Derby, but everyone who can fathom out how to read the league table and recent results can see that the title will most likely go down to the final match of the season, or not far before it. Why not spare Easter Sunday and play the game as the second or third fixture of the split? 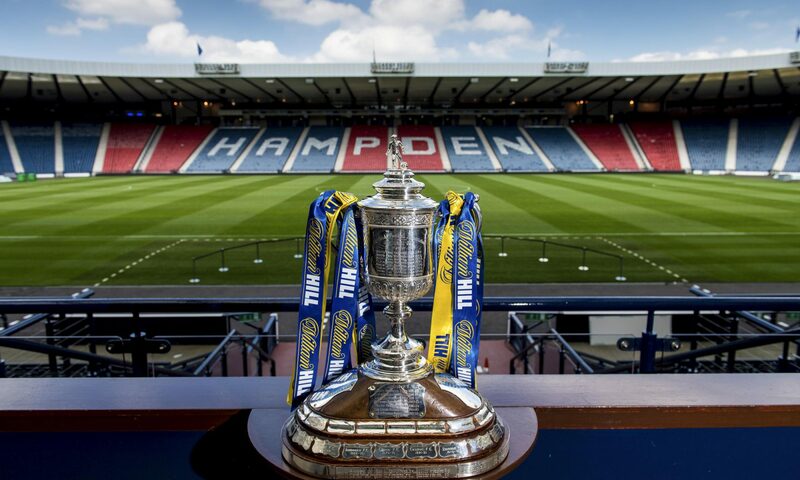 Whichever way you look at it, the match will have a strong bearing on the final resting place of the SPL title this season, so what exactly are they trying to prevent? Even supposing we concede to their perverse lust to have the Glasgow giants meet in the first fixture of the split, why must it be Sunday? What happened to all this talk of playing these matches on a Monday night? Or better yet, here’s a barmy notion, how about we play football at 3pm on a Saturday? As a matter of fact, I genuinely can’t remember the last Old Firm Derby played at that time. Perhaps the frivolous chopping and changing from the SFA will go full circle and we can return some day to the most fundamental of settings for a game of football. The ugly scenes from Old Firm Derbies this season came to a head when Ally McCoist and Neil Lennon understandably came to a powder-puff clash for mere seconds during Celtic’s victory in February. Despite this, the opportunity for more conflict and media scrutiny has been laid before Celtic and Rangers with this Sunday fixture. A less alcohol fuelled crowd, and less media focus would be on the game if it was in midweek. Even the slightest scuffle could be blown out of proportion again, with Alex Salmond having to toddle off the election campaign trail to hold another shambolic and unnecessary summit. I’m beyond flummoxed at how the SFA could allow the bad vibes from the previous few fixtures to build up a head of steam, continuing into another Old Firm derby so close to the previous ones. The ‘on the pitch’ troubles at these games are blown entirely out of proportion. Alcohol is the problem, and the real trouble kicks-off by those in the pubs, not in the stands. It’s debateable that Craig Brown’s scuffle at the weekend was more severe than anything Neil Lennon and Ally McCoist did; but slapping an ‘Old Firm Chaos’ headline on it was always going to result in touchline bans for the managers in question. I’d be extremely surprised if Brown receives more than a slap on the wrist for his fisticuffs, but if he was in the Celtic or Rangers dugout, we’d have seen a different result. If there was any kind of positive reasoning to play this match on Easter Sunday, I’d like to hear it. I can think of no benefits at all. The offices and blazers at Hampden are shaking in fear at the prospect of an Old Firm title decider, but even supposing the most unlikely of events was to unfurl and we were to be faced with such a scenario, could it be any worse than the Old Firm aftermaths we’ve seen this season? I fear that Scottish football is slipping into an abyss of bureaucracy, whereby the sport no longer fits into people’s daily lives, but people’s daily lives are forced to adhere to the schedules of the sport. The sacrifice of Easter Sunday to an Old Firm Derby is scandalous on several levels, I only hope that the SFA and SPL has the moral compass to realise their mistake, before Santa Claus is the next victim of the sinister fixture planners, and the kids wake-up on Christmas morning to find their parents en route to Celtic Park or Ibrox. Totally agree. Why not bring the game 2 weeks forward and that would be that. I’m not sure I’m convinced about your argument that having a match on Easter Sunday is dragging folk away from their families. The same thing happens on Boxing Day and sometimes New Year, which could also be agrued to be days when the family should get together. Further, there’s always football on tv on Easter Sunday that many would head to the boozer for anyway. What gets me is that, to my knowledge, we are the only league that actively avoids a title decider. Most associations would kill for such a match but year in year out in Scotland we schedule the last Old Firm fixture to avoid such a scenario. The merits of the split, which I have to say do not outweigh the disadvantages, is that mid-table sides still have something to play for around this stage of the season. This is then followed by a cracking set of fixtures as the top five face each other. Now, partly due to there only being European places avaiable for the top three, barring some catastorophic collapse from Hearts and/or St Mirren (plus a very unlikely comeback from Hamilton), the only thing left to play for is the league title. It’s a shame that the Old Firm fans that know how to conduct themselves and Old Firm neutrals are startved of the prospect of a league title decider becuase there are idiots within the support who can’t behave.